Home › Chrono Bomb Action Game Patch Products Inc.
Chrono Bomb Action Game Patch Products Inc.
Make a laser-like field with STRING--not real lasers! Don't bang the string--the sensor will detect the movement and make time count down faster! 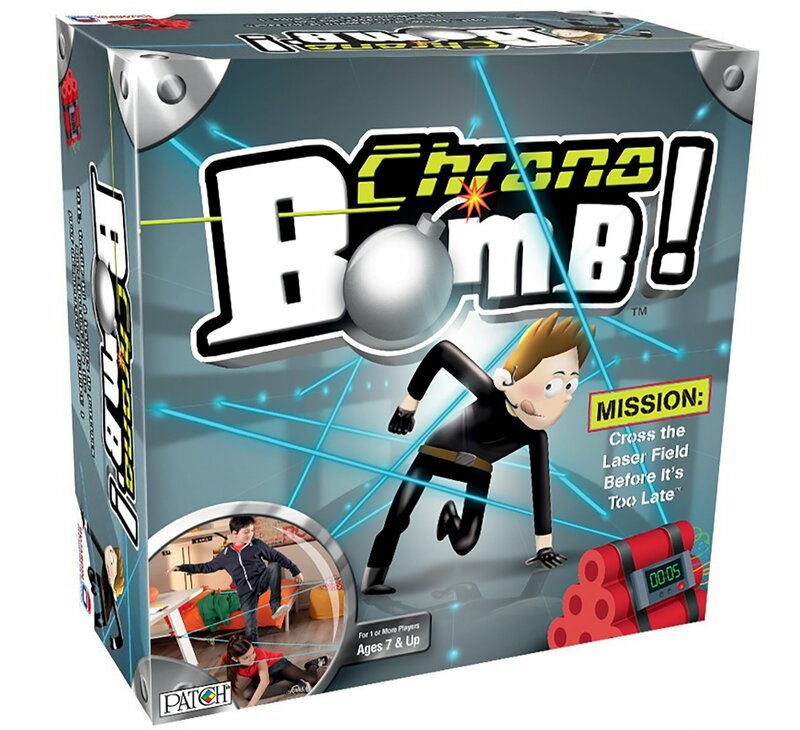 Chrono Bomb is a super secret spy mission where kids use the included clamps and 27.5-ft. string to create a "laser" field to crawl through. At the end of the maze is the bomb, counting down. Tick, tick, tick! So, you have to hurry, carefully, and make it to the end to defuse the bomb and be the hero! Play over and over again, building new courses each time or trying to beat your or your friend's time! Includes free app for more play value! Requires three AAA batteries, not included. For ages 7 and up.